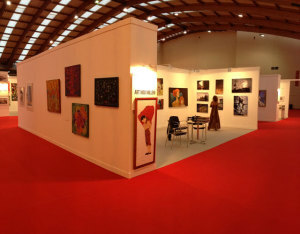 The Art Nou Mil.lenni Gallery has participated in many contemporary art fairs. For many years has been seen in fairs such as: Art Beijing, Art Shangai, Linear, Art Bolzano, Margaret, Arteando, Artexpo NY, Frieze Art Fair London, Art Innsbruck, Art Lousse etc. The Cosmopolitan Cultures & Fine Art fair in Macao (25th – 27th November 2015) Macao, China. Art Macao (4th – 7th December 2015) Macao, China. Salón de Barcelona (16th – 20th December 2015) Barcelona, Spain. Photo Baho Barcelona (9th – 13th March 2016) Barcelona, Spain. Art Beijing (31st April – 3rd May 2016) Beijing, China. Hartexpo (16th – 20th July 2016) Barcelona, Spain. Art Baho (1st – 5th October 2016) Barcelona, Spain. 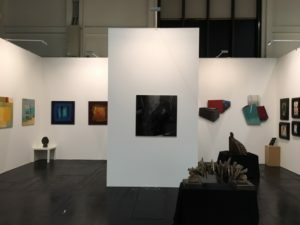 Art Fair Köln (26th – 30th October 2016) Cologne, Germany. ArteHos (17th – 21st December 2016) Barcelona, Spain. Spring Art Show Barcelona (25th – 29th March 2017) Barcelona, Spain. Art Beijing (30th April – 3rd May 2017) Beijing, China. Hartexpo (20th – 24th May 2017) Barcelona, Spain. Art Baho (23rd – 27th September 2017) Barcelona, Spain. ST-ART 2017 (17th – 20th November 2017) European Contemporary Art Fair, Strasbourg, France. ArteHos (16th – 20th December 2017) Barcelona, Spain.